With Staff Members of Hotel Shivalik View after the meeting of prominent Businessman and traders of city. The Bharatiya Janata Party’s MP candidate for Chandigarh Lok Sabha seat, Kirron Kher had a detailed discussion with the business community at Shivalik View hotel, Sector 17 today. The meeting marked the presence of many noted businessmen of sector 17.The business community listed their problems and apprised Kirron Kher that their trade was suffering due to the bureaucratic system. According to them the major issues were related to taxation and policies of conversion. The delegation admitted that they committed a big mistake by supporting the Congress party in the last parliamentary elections which failed to address our long pending issues. 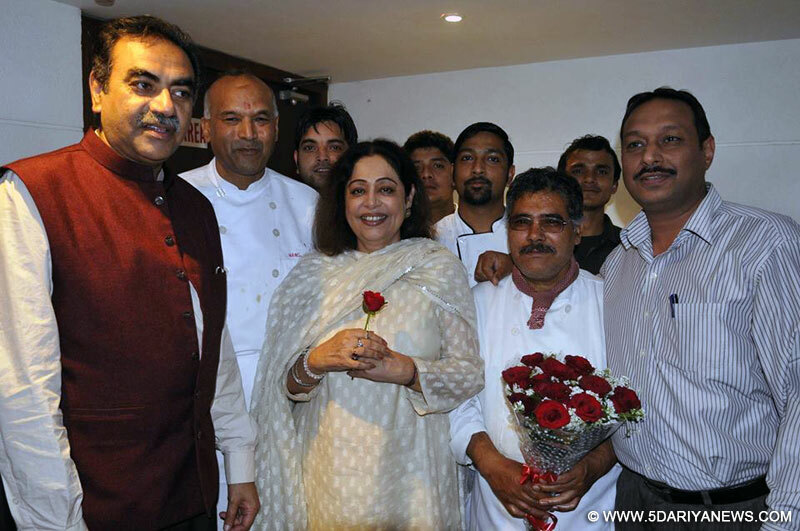 Kirron Kher assured them that all problems would be resolved after consulting the business community. She also added that the BJP’s prime ministerial candidate, Narendra Modi possess a great economic vision and believes in providing a quick solution to the issues.The business community confirmed its support to the BJP and they expected that Kirron would represent their issues at the central government.